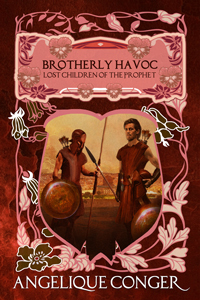 Propelled by animosity and envy, brothers Kimnor and David battle for their father’s favor. Kimnor chooses reckless abandon. David prefers obedience to orders. When Kimnor joins a secret organization in direct opposition to the family, David thinks the arguments have ended. Then he learns that his brother has been ordered to kill him. Lose yourself in the fourth book of The Lost Children of the Prophet saga. Buy it and start reading today!